The 1000 year old boy. Thank you to Ross Welford and all his team at Harper Collins for securing me this advance copy. I hadn’t realised you were ‘a local lad’ until a few months ago. Really looking forward to meeting you at Waterstones Durham in 2018. This is the first book I have read by Ross but given its brilliance it wont be the last! 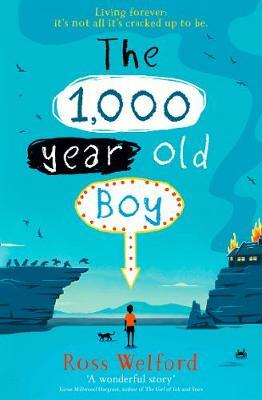 So looking forward to recommending this to all our young readers. My youngest daughter told me her prediction for the end before I started it – but thankfully her prediction was totally wrong! This story starts off in South Shields just over a 1000 years ago and all you need to know is that it is brilliant – so go buy yourself a copy!